If you’re like me, just opening the Pinterest app causes you to lose all track of time. If you’re like me, as a crafter, you are inspired to countless new “Oh, I am SO going to try that” projects with every scroll! AND, if you’re like me, you sometimes find yourself wishing someone would stop your hand from scrolling down the Pinterest page just once more….!! I thought I would share my Pinterest profile with you…. While it is predominantly crochet and knitting links, there may be other topics of interest I follow that may inspire you as much as they do me! Feel free to “Follow Me” as I collect these sources of inspiration! Click on pic to find The Jewells Handmades on Pinterest! not my own items, but items from crafts that I love! it will take you pictures you can click on to view these items in greater detail! 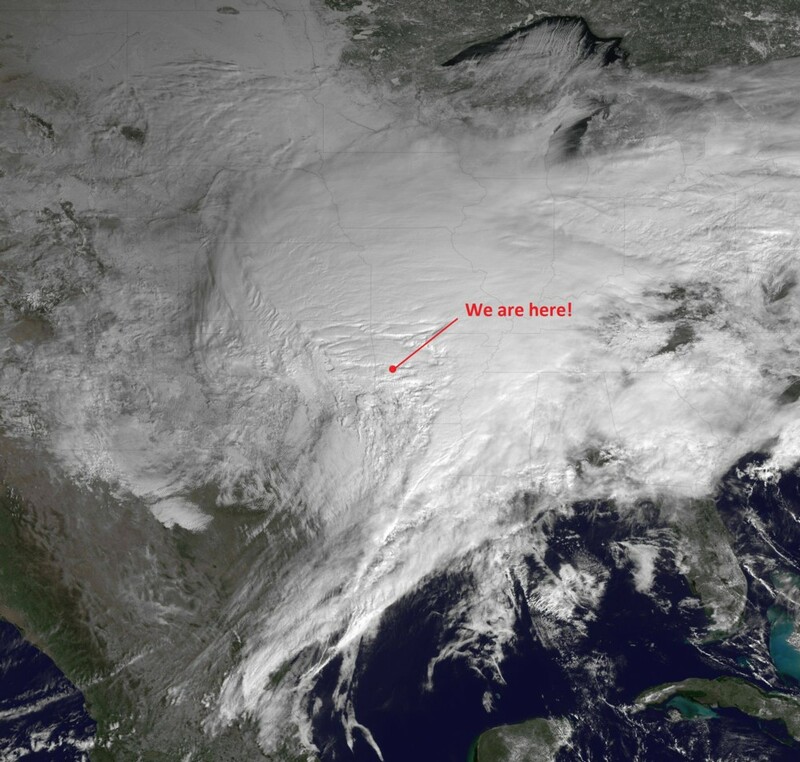 Winter Storm 2011 — Satellite pic! What an incredible satellite picture!